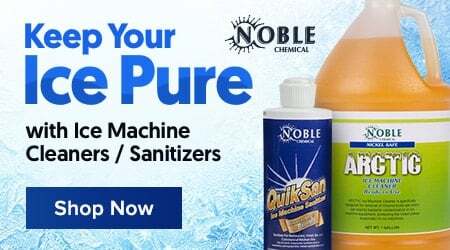 For exceptional ice storage and serving practicality, look no further than the Advance Tabco PRC-24-36R-10 Prestige series stainless steel ice bin and bottle storage combo unit. Items found within the Prestige series of underbar equipment line up perfectly with each other, creating a uniform look across any bar. In addition to a number of eye-catching features, this item boasts an exclusive twist-action leg assembly for added strength and an extended backsplash to create a truly one-of-a-kind unit. Thanks to an 11" deep bin with 2 lb. density foam-in-place insulation, this unit is sure to keep your ice at the perfect temperature over an extended period of time. The ice bin is positioned on the right side of the unit and boasts a 70 lb. ice capacity, with room to fit another 32 lb. of ice directly underneath the bottle racks. A 7" backsplash serves to prevent ice and water from spilling onto the floor, while a 1 3/4" return with integrated soda gun knock-out allows for quick, efficient service of all your signature drink offerings. Two removable injection molded 3-pack plastic bottle racks are included and can be used to keep your essential liquor bottles close by for added ease of use. This series also boasts an integrated rear deck for extra storage. Additionally, a 1/2" IPS drain is fitted to the basin's bottom in order to help remove melted water from the bin, and welded partitions are installed between the different bins for further separation. 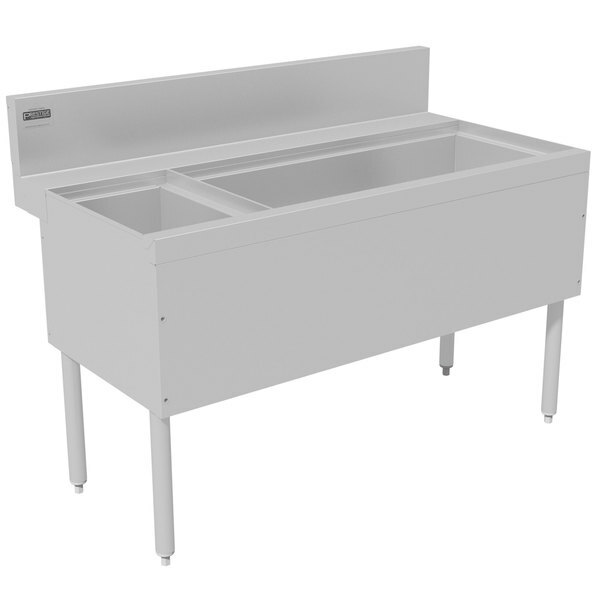 With the ability to choose from a number of sizes and orientations, the Advance Tabco PRC-24-36R-10 Prestige ice bin combo unit is perfect for any restaurant or bar.